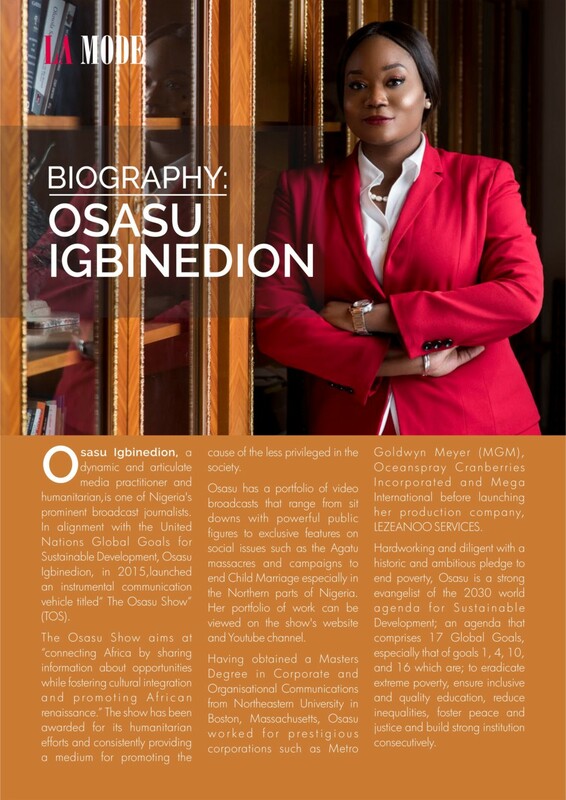 Osasu Igbinedion is a Nigerian journalist, TV show host and humanitarian. 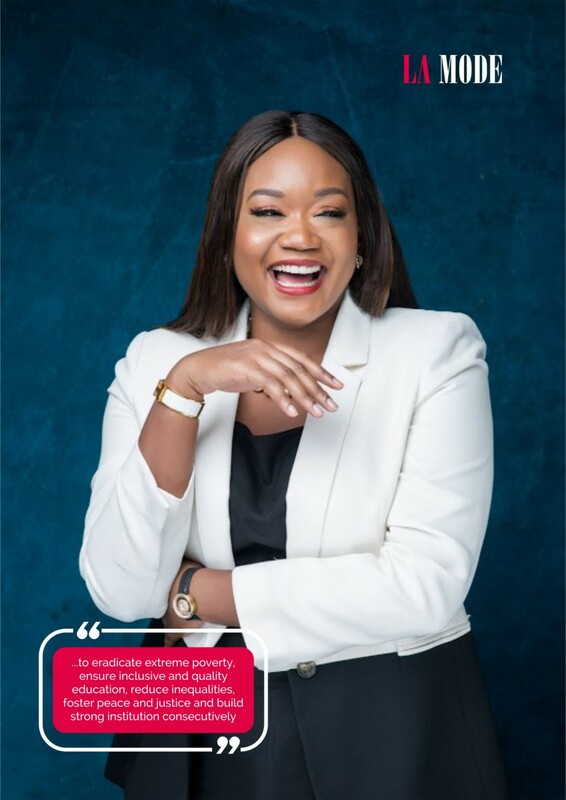 She is the host of The Osasu Show, a syndicated TV show focused on development, business, and politics in Nigeria and the United Kingdom. 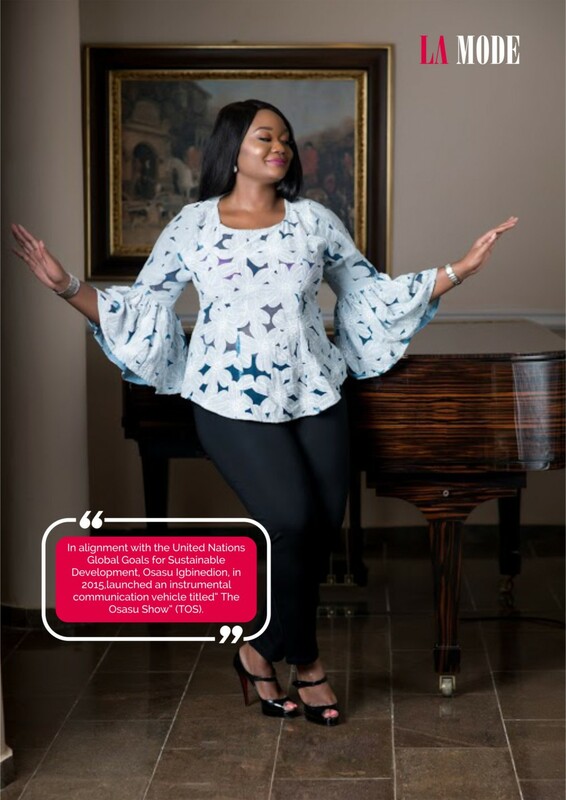 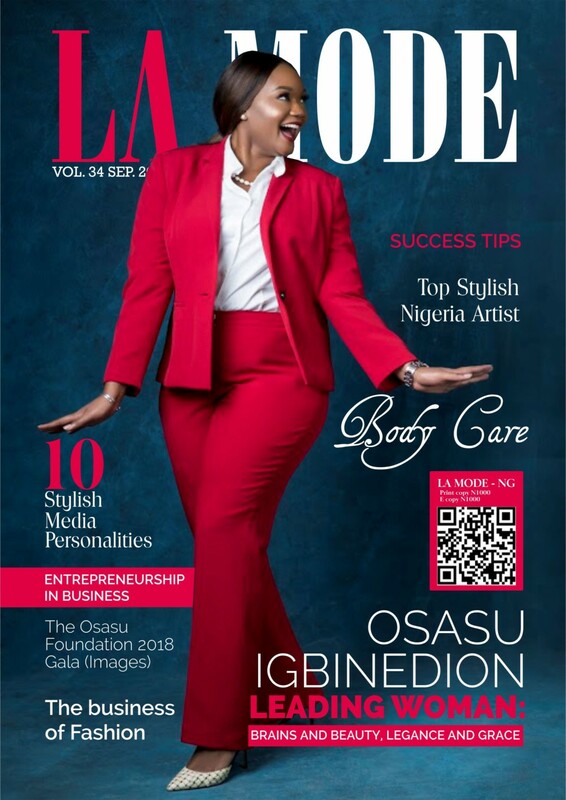 Osasu Igbinedion is the cover personality for La Mode. 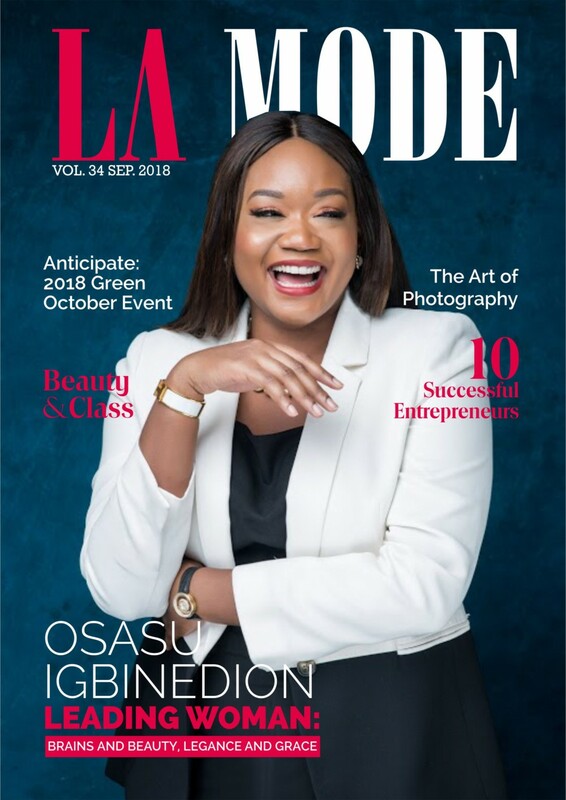 Magazine‘s September Issue.